My daughter will be starting “big” school this year and my brain has been going wild planning what we will put in her little lunch box every day. With the fear of my child wanting “packets” in her lunch box, we want to try to stay health-focused and fill her lunch box with mainly whole food, homemade goodies. Every mother’s dream right? 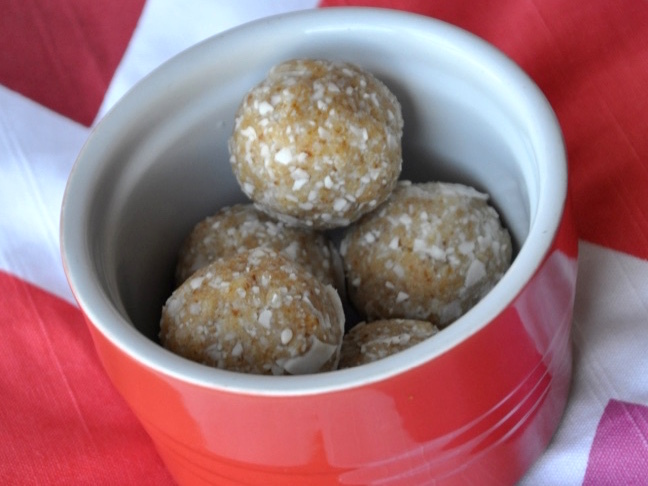 A great, go-to snack that we’ve always loved in our house are bliss balls, or as my son calls them, “treaty balls”. You can pack them full of goodness and wrap them up in a little ball that tastes like a real treat. 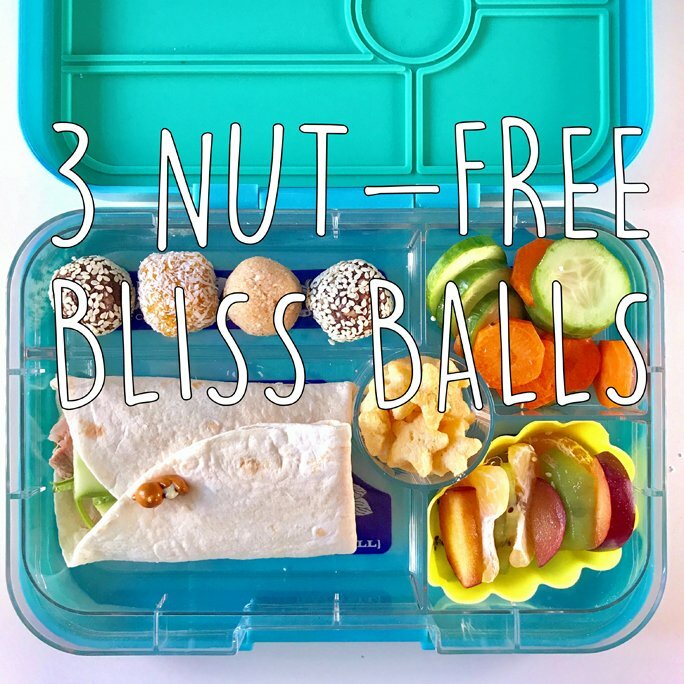 I have created three very simple nut-free bliss balls recipes for you to pack into the school lunch box. Each recipe only needs a few ingredients, takes less than 15 mins to prepare and they are super-fun to make with your kids. When our children help in the kitchen with cooking and creating, they are more inclined to eat and enjoy their food. 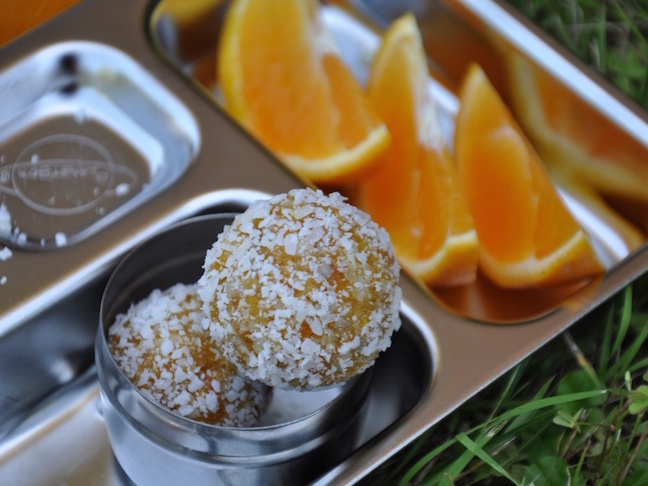 So give these a go; healthy balls that are portable, yummy, nutritious and importantly, school-approved! 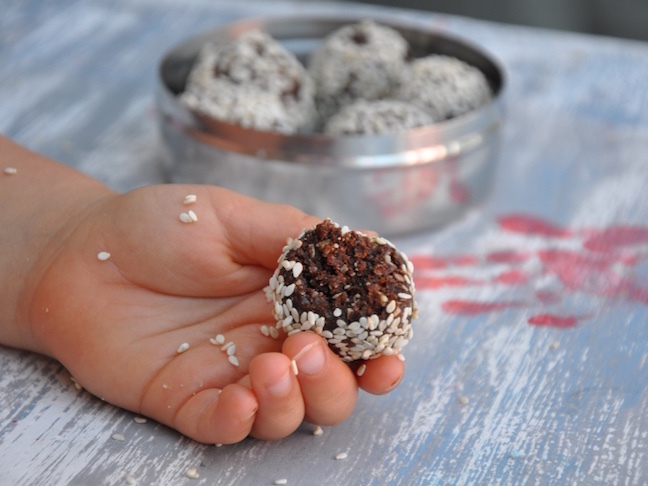 With thanks to Kylie from Kidgredients for the fantastic how-to-make bliss balls video. All recipes suitable to freeze for up to 1 month. Step 1: Place all ingredients into a good quality food processor and process until mixture is broken down and comes together. Slowly add a little water if the ingredients are not sticking together well (about 1 tablespoon of water). Step 2: Using 1 teaspoon portions, roll into balls. Step 3: Roll each ball through the desiccated coconut and allow to set in the fridge. Enjoy 1 or 2 as a snack. Perfect for school lunch boxes. Step 1: Place all ingredients into your food processor and process until all ingredients are chopped finely and mixture resembles a dough. The mixture should stick together well so you may need to slowly add some water (roughly 1-2 tablespoons) until the mix comes together. Step 2: Using teaspoon sized portions, roll into balls and place into fridge to set. Enjoy as a school lunch box power packed treat. Step 1: Place all ingredient into the food processor and whizz until mixture starts sticking together. If the mix does not stick, slowly add about one tablespoon of water until it all comes together. Step 2: Using teaspoon size portions, roll into balls. Place into fridge to set. A great addition to any lunch box. Let me know what other fun and healthy school lunch box ideas you may have in the comments below. Cassandra Michelin is a mum on the quest to raise super healthy kids on her urban farmyard on the east coast. Passionate about inspiring others, Cass is the creator of the #sugarfreeseptember challenge and has released three eBooks full of delicious real food recipes. 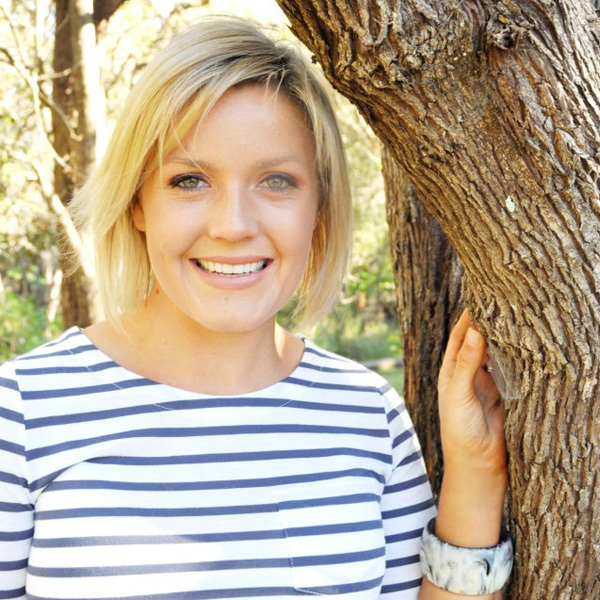 Her goal is to empower mums to enjoy life and have fun while taking control of their health. 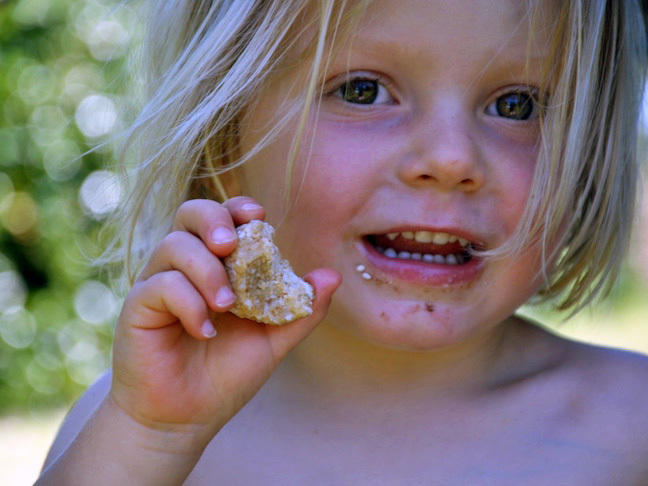 She encourages parents to provide simple and delicious whole foods and live a toxic free life! Find Cass on Facebook | Twitter | and Instagram.